While recently cataloguing some of the larger sizes in the tower I came across some annual publications produced by the Royal Drawing Society. 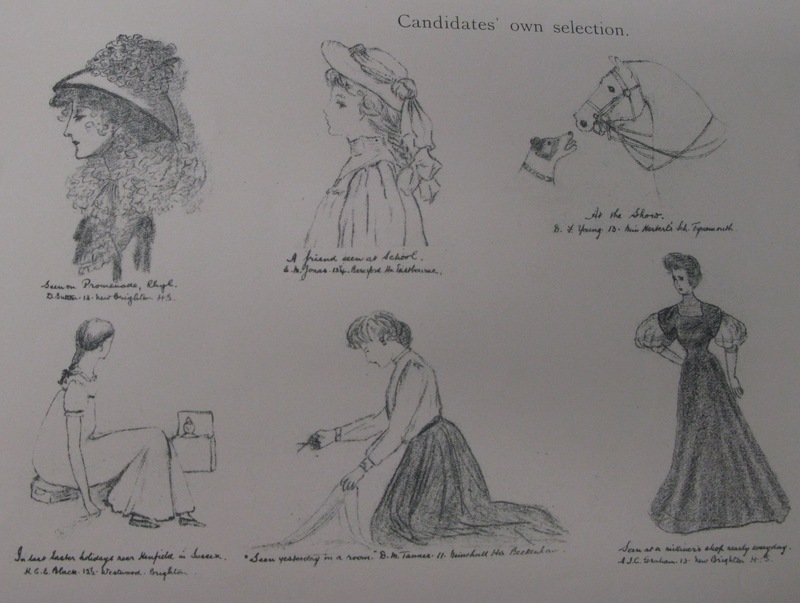 These were exhibition and examination papers which contained collections of children’s competition sketches, from different age groups. As I loved drawing as a kid, always hoping that my pictures would be chosen for the gallery on Hart Beat (they weren’t), I was intrigued. 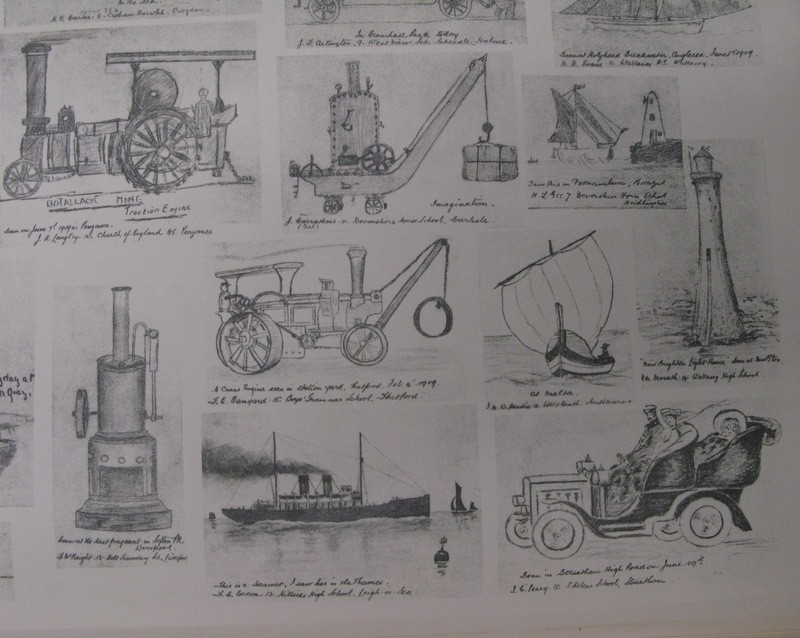 I liked the drawings, which ranged from the fuzzy to the highly skilled, but what really interested me were the scenes that were sketched, the cars, trains, and boats, the outfits and situations. They presented Edwardian Britain in a really new way, from a child’s perspective. Click on the images for a close up view. W. Browning had apparently “a great fondness for military subjects”, his work at 3 1/2 is “enough to satisfy any martinet” but “at 8 years he feels his powers equal to the realisation of the dramatic incidents of a battle scene”. The work of 16 year old B. Elliot was obviously inspiring. 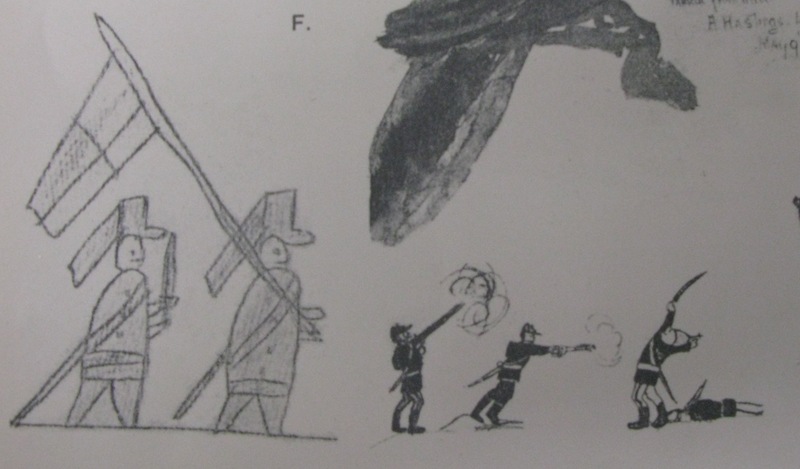 His drawings showed “strong feeling for the romance of travel and drawing of this sort might well become an incentive to active enterprise and adventure, and thus be a corrective to the coddling of the unfit in cities, and the enfeeblement of a race”. Why were these explanations so over the top? The answer lay in the philosophy and ideals of the Society itself. The Royal Drawing Society was founded in 1888 in Great Britain by a Mr. Ablett, who found a keen supporter in H.R.H. Princess Louise, Duchess of Argyll and was aided by Lord Leighton, Sir John Millais, and Sir Edward Burne-Jones. 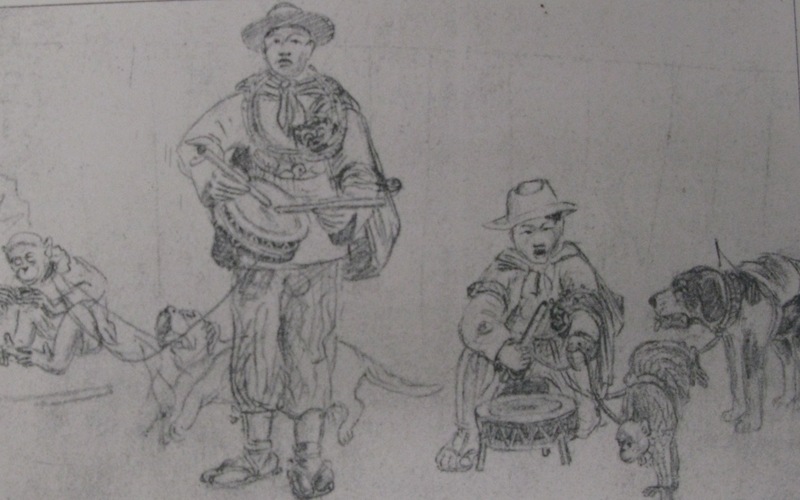 Ablett’s aim was to develop the teaching of drawing for educational purposes. He believed that by focusing the eye and exercising the coordinating powers of the mind as it developed, intellect would increase. His plan was to encourage children’s impulse to draw and support their observatory skills in order to promote astute perception and retentive memory. This he thought could be found even in the most primitive stages. 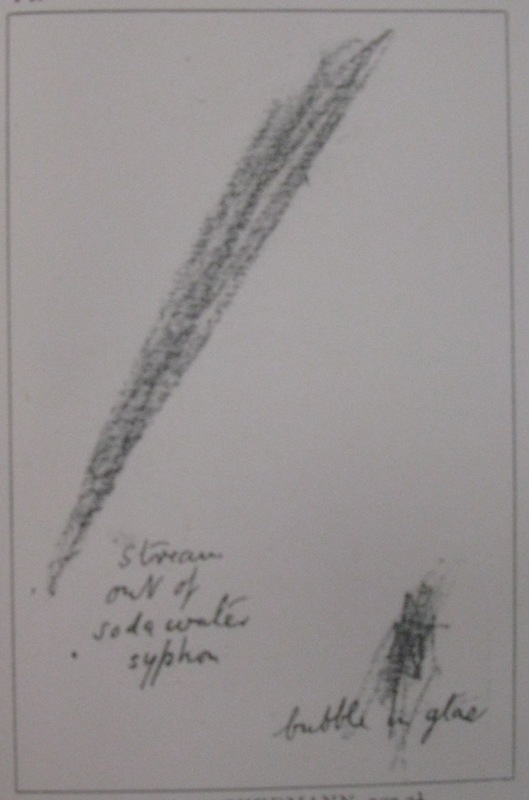 For example the picture here, apparently depicting a stream of water coming from a siphon, demonstrates the “delineation of movement”. He also found adult art study to be dull and unobservant and believed that by supporting the observing powers of children, their freshness of vision would carry through to adult work. Large numbers of children took part in these programmes and competi tions. 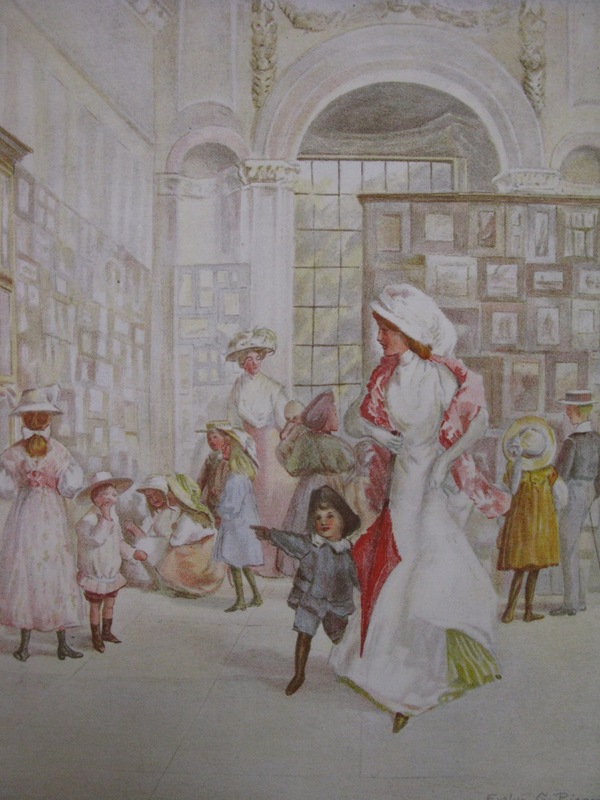 At the 19th annual exhibition held in 1908, 15,000 drawings were exhibited in the Orangery, Kensington and many children won medals for their work. It is also true that some went on to artistic success as adults. Brian Hatton (1887-1916), Claire White (1903-1997), Edward Seago (1910-1974), Edward Ardizzone (1900-1979) and Robert Sargent Austin (1895-1973) are recognised artists to a greater or lesser extent. 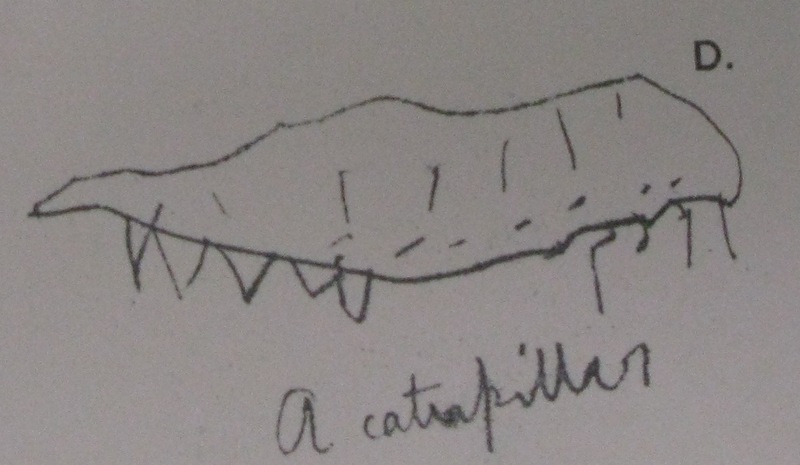 My favourites, however, still remain the hopeful unknowns and their squiffy caterpillars and off kilter sketches. I am glad they were supported and encouraged by the Society, even if a little over eagerly.